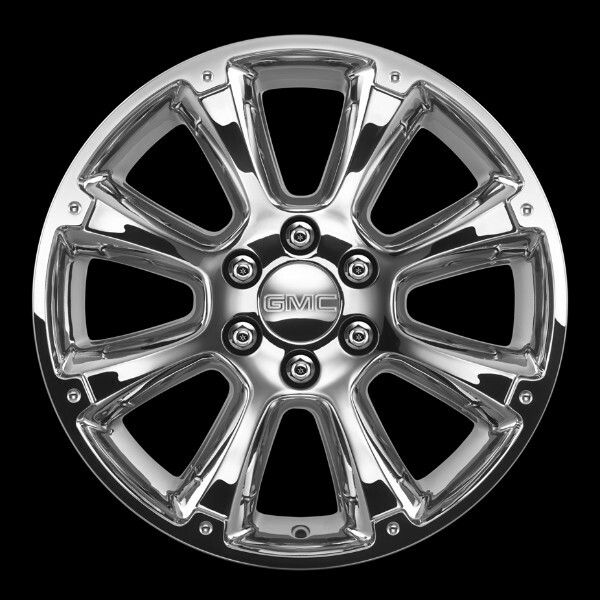 The crown jewels: This beautiful 22-inch 8-Spoke aluminum alloy wheel takes maximum advantage of Sierra's engineered-in ability to handle large-diameter wheels. Faceted forms available in a lustrous chrome finish make an emphatic style statement. GMC Accessory 22-inch wheel is available with a choice of matching GMC center caps and chrome lug nuts. Image For Illustrational Purposes Only, Lug Nuts and Center Caps Sold Separately.